What chances does Wisconsin volleyball pose in the 2017 NCAA tournament? With the conference seasons coming to a close in a few weeks, and NCAA releasing their first round of rankings, teams are starting to look ahead into December, and the University of Wisconsin’s volleyball team is no different. After entering the conference season undefeated, the Badgers now, as of Friday afternoon, find themselves 6-6 in conference play, which is a testament to the strength of the Big Ten. Despite having a .500 record in conference, if playoffs started today, they would be the No. 10 seed in the tournament, allowing them to host the first two rounds of play. In the NCAA volleyball tournament, only the top 16 teams are given seeds, which means despite their Big Ten record this season, Wisconsin would still earn a seed in the NCAA tournament since the Badgers are currently ranked No. 8 in the nation. Wisconsin would be one of the five Big Ten teams to make it into the NCAA tournament if it started Nov. 10. The Badgers have had an up-and-down season. They have a young team with only two seniors, and they have a freshman, Sydney Hilley, running their offense. In all the matches they dropped this season, they have been within striking distance of a win. Thus far, they have been unable to close out sets or come back from holes they’ve dug themselves from slow starts. The key to this is more consistent play through out. They have moments of greatness, but continue to make untimely errors down the stretch. The Big Ten is a tough conference, and none of their loses have been embarrassing, but it is certainly frustrating for the players to not get the results they want, especially after three years of being at the top of the conference. Their last Big Ten Championship win came in 2014. So how far will the Badgers go in the tournament? December is often a time where teams go on runs and come alive, meaning Wisconsin could upset teams they have traditionally struggled against this season. If the Badgers encountered a team they faced earlier in the season, in playoffs, it would not be surprising. Last year, the Big Ten had eight teams in the tournament and all of them made it to the second round, with three teams — including Wisconsin — in the Elite Eight and two Big Ten teams in the Final Four. Because of the strength of schedule in the Big Ten, their teams enter the post season prepared to battle for matches. 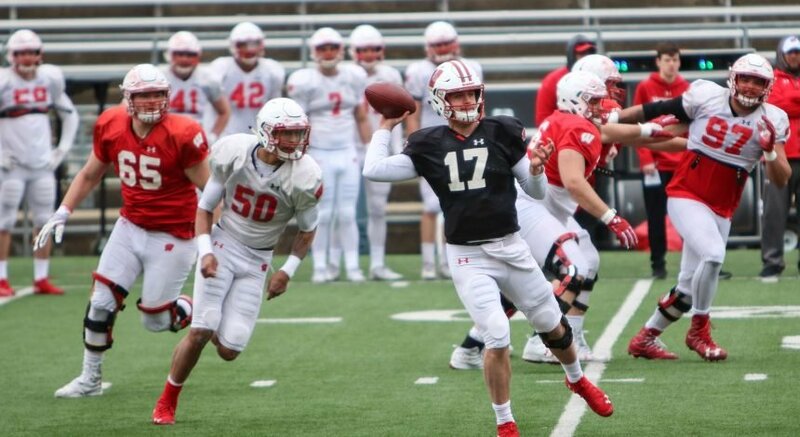 The chances Wisconsin will encounter another Big Ten in their path is extremely likely because of the durability and success of all the teams in the conference. Most people would assume they will make it to the Sweet Sixteen before getting knocked out, potentially to another Big Ten team. But, this team and this season resembles the 2013 team and season. Similarly, they had a freshman setter, the now highly decorated Lauren Carlini, and a freshman middle blocker in Haleigh Nelson. The team was not great during the regular season. They were good, but they were not elite. They struggled against top ten teams, but as the season progressed, they improved immensely. They received the No. 12 seed in tournament and defeated No. 5 seeded Florida State in the Elite Eight, and No. 1 seed Texas in the Final Four to advance to the National Championship. 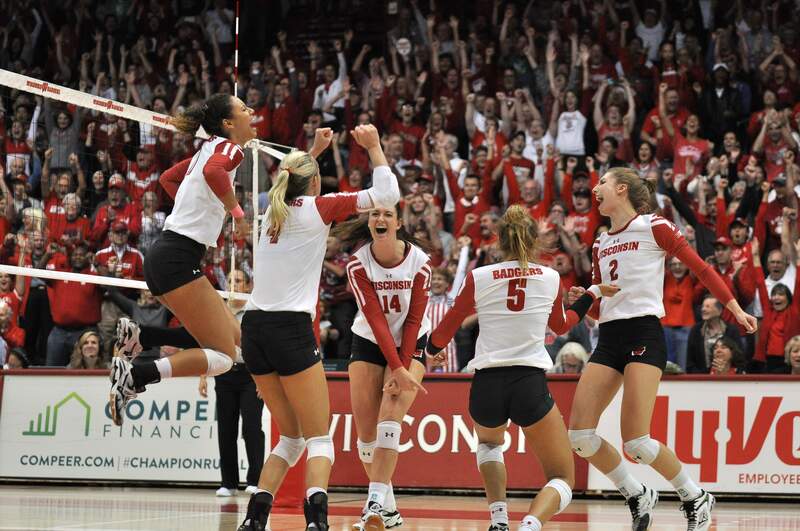 In the post season, the Badgers came alive and started to play elite volleyball. December is when play matters most. The following three seasons, the Badgers were not underdogs. They were the No. 4 seed in 2014, No.6 in 2015 and No. 3 in 2016. They made it to at least the Sweet Sixteen in the last four seasons. This year’s group will obviously try and keep this streak alive, which they could do if they can limit their mistakes, especially behind the service line. This year, Hilley and middle blocker Dana Rettke have done a good job stepping into Carlini and Nelson’s shoes, respectively. They and the rest of the team still have three weeks left in the regular season to improve. They have another opportunity to try and crack No. 1 Penn State, but this time in the Field House. With each match, the Badgers should improve, and in a few weeks, they should be playing their best volleyball of the season. Hopefully the team will continue to improve in December as well, and is able to make a deep run. Wisconsin should at least make it to the Sweet Sixteen of the NCAA tournament this year, but don’t count them out if they go farther. Volleyball is a game of runs and a game of Cinderella stories. In tournament play, just like in Big Ten play, anything can happen on any given night. Never say never when talking about the Wisconsin Badgers volleyball team.